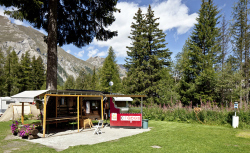 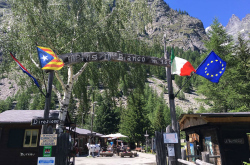 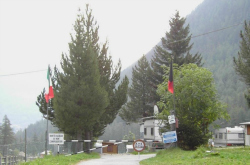 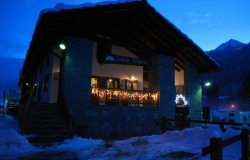 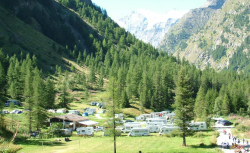 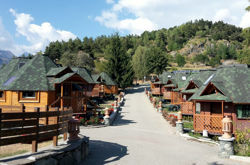 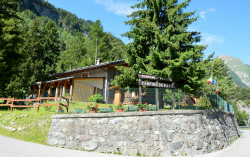 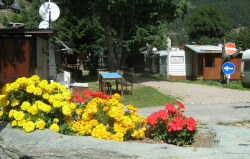 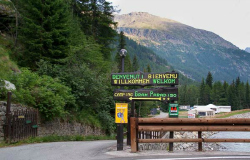 The Association of Aosta Valley outdoor tourism businesses (FAITA Valle d’Aosta) gathers and represents the outdoor tourism businesses (campsites and holiday camps) in the area of Aosta Valley, representing and defending their interests. 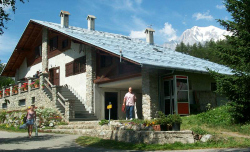 Since its foundation the Association has joined FAITA FederCamping, the Federation of the Italian associations of outdoor tourism businesses which has been operating for over 50 years at national level by associating the majority of the 2,350 Italian businesses in the sector through 18 regional associations. 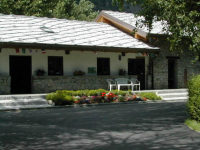 Since 2009 the association has become an integral part of Aosta Valley Association of Hoteliers and Tourism Businesses (ADAVA). 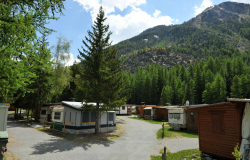 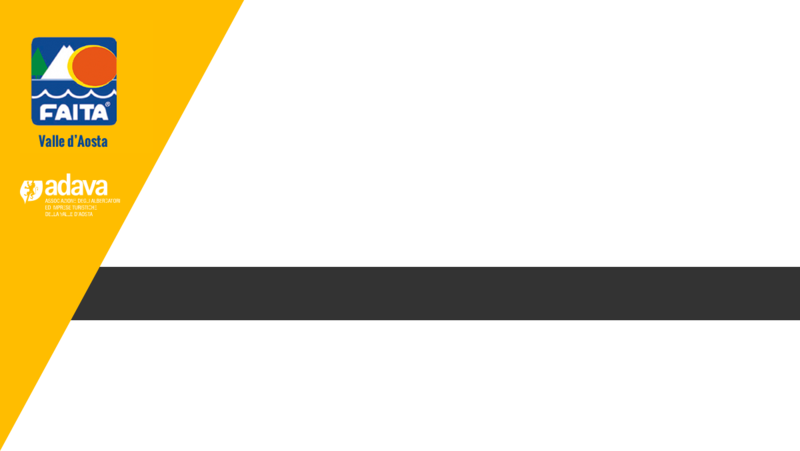 Quart Lazy Bee Campsite 550 m.
Sarre Monte Bianco Campsite 620 m.
Sarre Internazionale Touring Campsite 630 m.
Arvier Arvier Campsite 750 m.
Morgex Du Parc Campsite 1.000 m.
Valpelline Grand Combin Campsite 1.000 m.
La Salle Green Park Campsite 1.000 m.
La Salle International Mont Blanc Campsite 1.000 m.
Aymavilles La Pineta Campsite 1.000 m.
Morgex Arc en Ciel Campsite 1.020 m.
Rhêmes-Saint-Georges Val di Rhemes Campsite 1.150 m.
Antey-Saint-André Villaggio Turistico Cervino Campsite 1.180 m.
Challand-Saint-Anselme Village La Grolla Campsite 1.200 m.
Etroubles Tunnel International Campsite 1.280 m.
Valtournenche Glair Campsite 1.328 m.
Saint-Oyen Pineta Campsite 1.370 m.
Brusson Deans Campsite 1.400 m.
Gressoney-Saint-Jean Margherita Campsite 1.400 m.
Brusson Monte Rosa Campsite 1.400 m.
La Thuile Rutor Campsite 1.441 m.
Châtillon Dalai Lama Village Campsite 1.492 m.
Courmayeur Monte Bianco La Sorgente Campsite 1.507 m.
Courmayeur Aiguille Noire Campsite 1.525 m.
Cogne Amis des Salasses Campsite 1.600 m.
Courmayeur Grandes Jorasses Campsite 1.600 m.
Bionaz Lac Lexert Campsite 1.600 m.
Courmayeur Tronchey Campsite 1.600 m.
Cogne Al Sole Campsite 1.617 m.
Ayas Sole e Neve Campsite 1.650 m.
Cogne Gran Paradiso Campsite 1.660 m.
Valsavarenche Gran Paradiso Campsite 1.820 m.
Valsavarenche Pont Breuil Campsite 2.000 m.